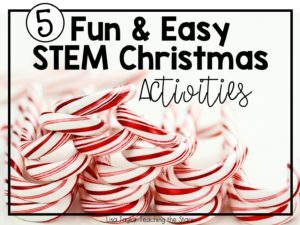 I love integrating STEM into my classroom, especially during the Christmas holiday season. Students get excited and stay engaged whenever learning is made fun! Measurement and collecting data are important state tested math skills that can be reinforced using STEM Christmas Challenges. 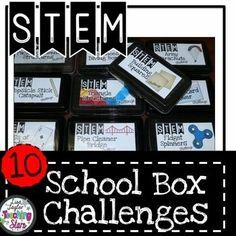 Here are a few of my favorite STEM Challenges! 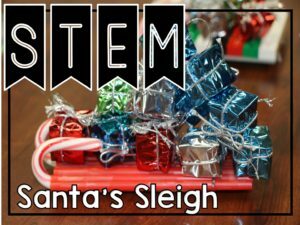 Santa’s Sleigh STEM Challenge will engage all your students during the holiday season. 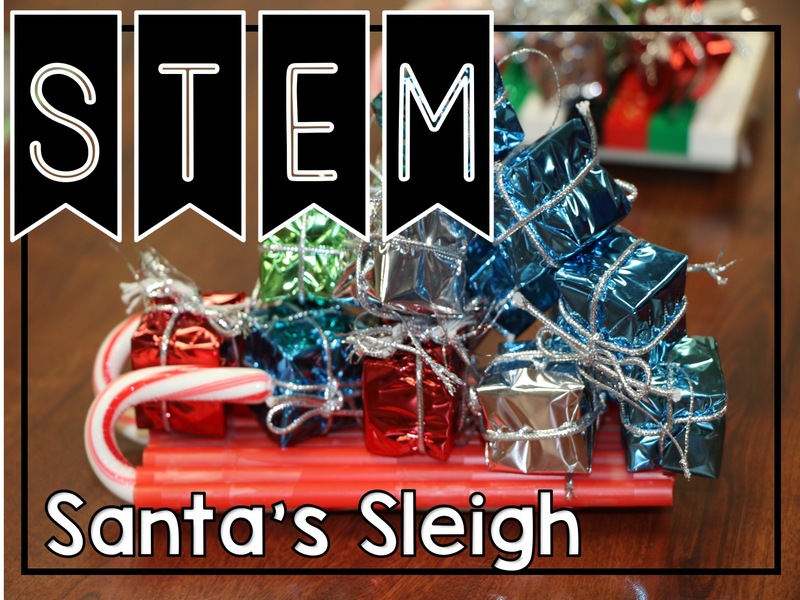 Students plan, design, and engineer a sleigh that can carry toy presents. 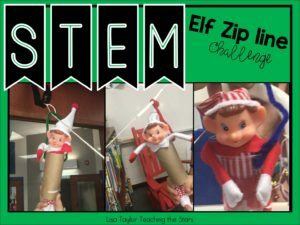 STEM Elf Zip Line Challenge will engage all your students during the holiday season. Students plan, design, and engineer a zip line that can carry a toy elf across a line. 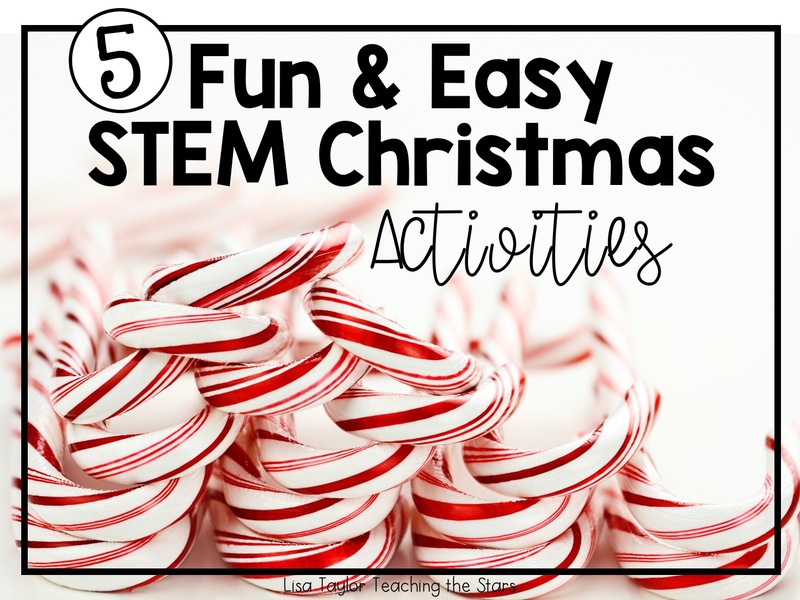 This activity can also be used for STEAM Activities, STEM After School Programs, Summer Programs, Clubs, Maker Spaces, or at home. If you have purchased the Skelton zip Line Challenge, this is the same challenge except with an elf. I love doing an activity that is similar to another because students’ can build on their prior knowledge. It really helps me see how my students are learning the engineering process by adding new ideas and reflecting on what has worked in the past. Seeing students use their critical thinking skills while they communicate their ideas to their peers is what STEM is all about! 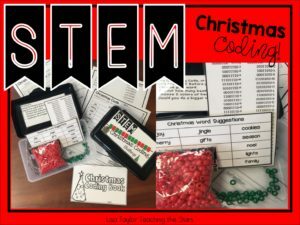 Christmas Binary Coding Do you want to introduce your students to coding? This is a easy way to get your students using and understanding binary code. Design and write a Christmas Code Bracelet using Binary Code. Students will pick a word to code. They will string the beads and then tie the ends for their bracelet. 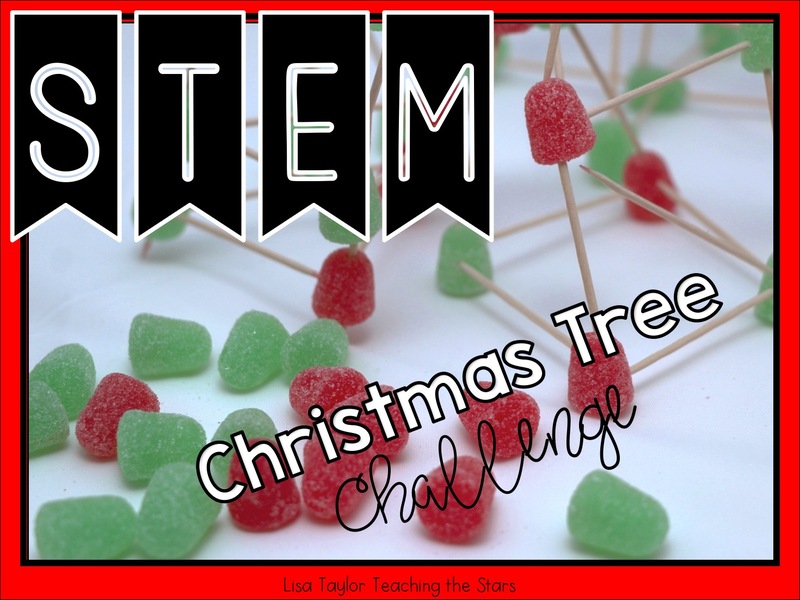 Christmas Tree Challenges: Students will construct Christmas trees using Spice Drops and tooth picks. Students will have a limited number of resources and will have to make decisions while constructing their Christmas Trees. 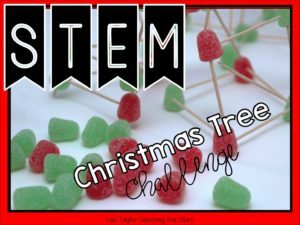 Christmas Tree Cup Challenge: Students will build a Christmas Tree using small cups. The goal is to build the tallest tree possible and to see how many pom-pom balls it can hold. 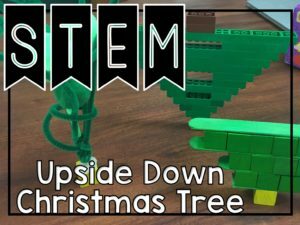 Upside Down Christmas Trees STEM Challenge will engage all your students and get them thinking during the holiday season! Is this a new fad or a bad idea? Students work with a team to design, create, and construct the tallest upside down Christmas Tree possible. Students will also get reasons for each perspective for or against upside Christmas Trees.